Global Cause is a 501(c)(3) nonprofit focused on saving giant pandas in the wild. In 2008, we began working with the Chengdu Research Base of Giant Panda Breeding (CRB) in China on an innovative plan to strengthen the wild panda population. The project science team seeks to reintroduce captive-born pandas successfully to their natural habitat and continue to study them there as they live in the wild. 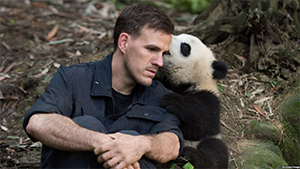 The IMAX film Pandas tells the story of this work in China to save giant pandas in the wild by expanding the wild panda population. Global Cause has cooperated with the Chengdu Research Base of Giant Panda Breeding on this project for more than 10 years and continues to help CRB with advice and international scientific expertise. Pandas follows the project science team as it prepares to release Qian Qian back into the wild! We depend on donations to continue supporting this project. IMAX Pandas Premiere in Hollywood! 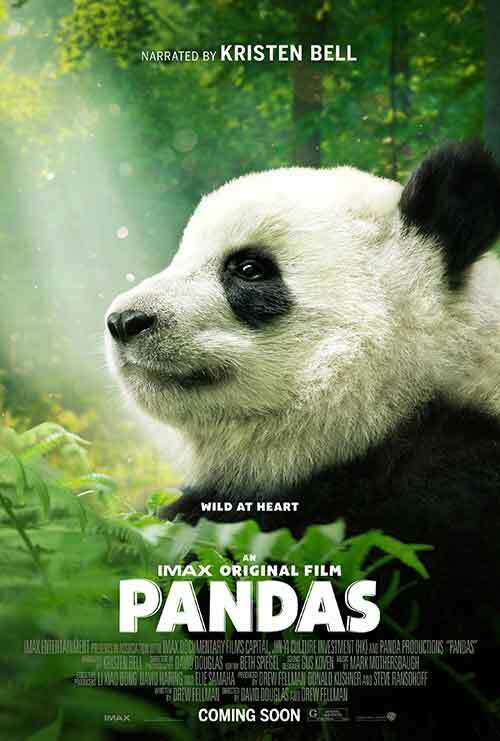 Check out the interviews with project scientists and the directors of IMAX Pandas as they arrived for the premiere on March 17th. "The goal is to boost the wild panda population, which has dipped below 2,000 bears as development encroaches on their habitat. To avoid further losses, and to ensure there is enough room to accommodate the influx of artificially bred animals, the Chinese government has established nature preserves."